"Make a Living by Giving" an initiative by our Student. The HEC has extend the date of registration for PMNLS phase 4 and 5 from 15.11.2017 to 30.11.2017. kindly convey this message to all. 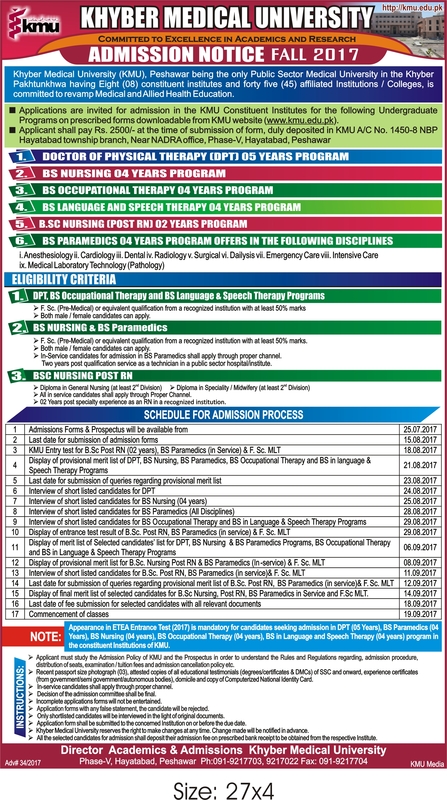 DPT 5th Merit List. Click Here to Download.